Hi everyone! I am so happy and honoured that I get the chance to be the judge for the McDonald’s Storytelling Contest 2017 live audition again! Last year was a blast and this year is even more exciting! The live audition was held at Pelangi Indah McDonald’s. Along with me are Teacher Nicolas & Teacher Pramesh. A total of 6 contestants were shortlisted for the live audition. The contest is open for kids from age 6 to 9 years old. They are selected from the first round which was held though Instagram video submission. Family members and friends gather to give full support and watch their live audition being held there. I was so excited and just in love with how they put a whole effort on the costume and props. The live audition begins and each contestant was given 5 minutes to tell their story and perform their show. Some of them tell their story in English and some of them are in Bahasa. Judging and scoring are based on their body language, voice mechanism, stage usage, and props. This is such a great opportunity for them as they also learn about self-confidence. Everyone did a really great job and I had a really great time watching their audition. Each contestant tells such an amazing story with morals we all can learn. After that, Ronald McDonald makes an appearance with a little storytelling show! The kids had such fun time while they also get to participate in Ronald McDonald story time. After that, each contestant was given a certificate and token of appreciation. The contest also offers prizes worth up to RM 100,000. There are 11 Consolation Prizes worth RM2000 to be won and they all get the chance to win a holiday for 4 paxs to Hong Kong Disneyland and Ocean Park or Shanghai Disney Resort or Thailand Cartoon Network Amazone Waterpark! The grand prize is to Tokyo Disneyland and DisneySea! I would love to go there too! I find that the prizes are amazing! I'm excited for them. Nothing says “I love you” like a beautifully crafted bouquet. I personally love it whenever I receive a gorgeous bouquet of fresh flowers. It makes me feel extra special. So, if you’re having a difficult time finding the perfect gift for your significant other or a loved one, you can’t go wrong with flowers. Each kind of flower can convey different meanings so you can say “I love you” with roses or “get well soon” with lilies and gerberas. No matter the occasion, there’s a perfect flower for it. You just need to find the best florist in Singapore and best flower delivery in Singapore. Unfortunately, finding the perfect florist can be quite a challenge. Sometimes you get beautiful flowers on time, sometimes they arrive wilted and late. While there are a lot of florists and flower delivery in Singapore which you can try out for yourself, I can personally recommend A Better Florist if you want to save time and get value for money. Their main strengths are their affordable yet stylish hand bouquets, a fast and reliable delivery service and an awesome customer experience. Sending light and love to your loved ones should be a happy and memorable experience, so A Better Florist makes this possible. Their simple and hassle-free approach to the entire transaction can immediately be seen from the website. 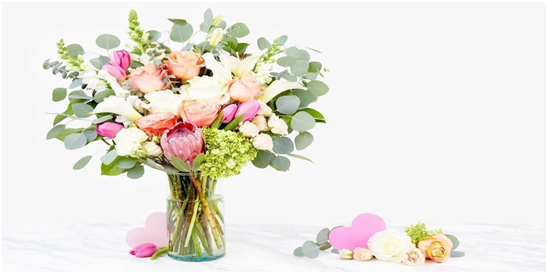 Their products are carefully chosen and crafted by experienced florists so that each bouquet, basket or hamper can be used for several occasions, be it a birthday, an anniversary or even as a graduation gift. The beautiful mix of fresh blooms sourced straight from Malaysia’s famed Cameron Highlands ensures the high quality of A Better Florist’s products. And because they source the flowers themselves, cutting out the middlemen allows them to offer more affordable bouquets to customers. Apart from the superb flower bouquets, their other arrangements cater to special occasions like flowers for babies and new moms, grand opening flowers for businesses and corporate events, sympathy flowers for commiseration, and fruit basket delivery for healing and wellness. Just like their flower bouquets, their fruit baskets are picked fresh and ensure high quality produce to hasten recovery of unwell or grieving loved ones. Ultimately, A Better Florist is not just the best florist in Singapore, they’re also the best flower delivery in Singapore. In fact, they’ve recently expanded their operations to include Hong Kong flower delivery and Dubai flower delivery. And just like in Singapore, they’ve already impressed customers internationally as they’ve been called best flower delivery in Hong Kong, best florist in Hong Kong and best florist in Abu Dhabi and Dubai by various influencers and media outlets. Splurging on gifts for your significant others does not have to equate to buying expensive and branded items. Flowers can offer more sincere greetings and intangible magic that can brighten up their day effortlessly.